The 'Aporia Black & White' artwork is a monochromatic spinoff of the original palette knife style metal painting called 'Aporia' created by NAY. 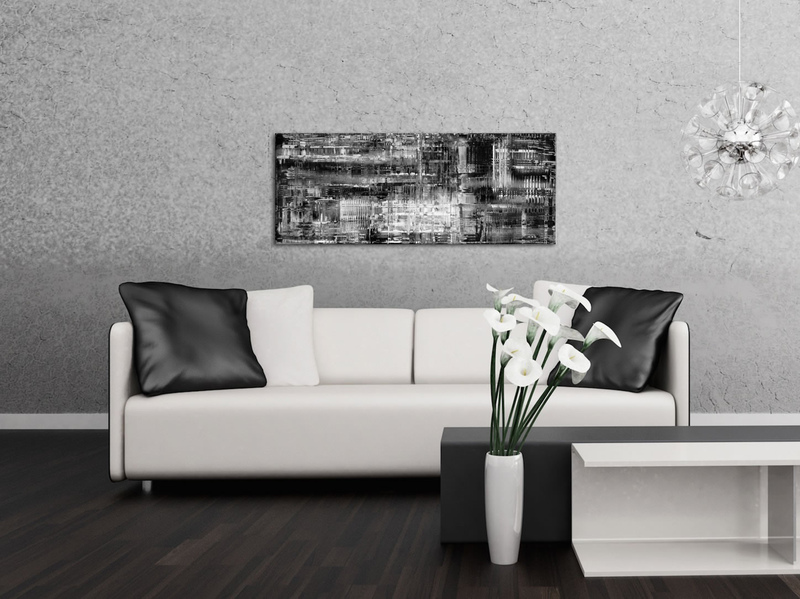 The intentionally distressed design gives this contemporary artwork a very interesting finish, with so much more intrigue and variety than you might expect from typical black and white wall art. 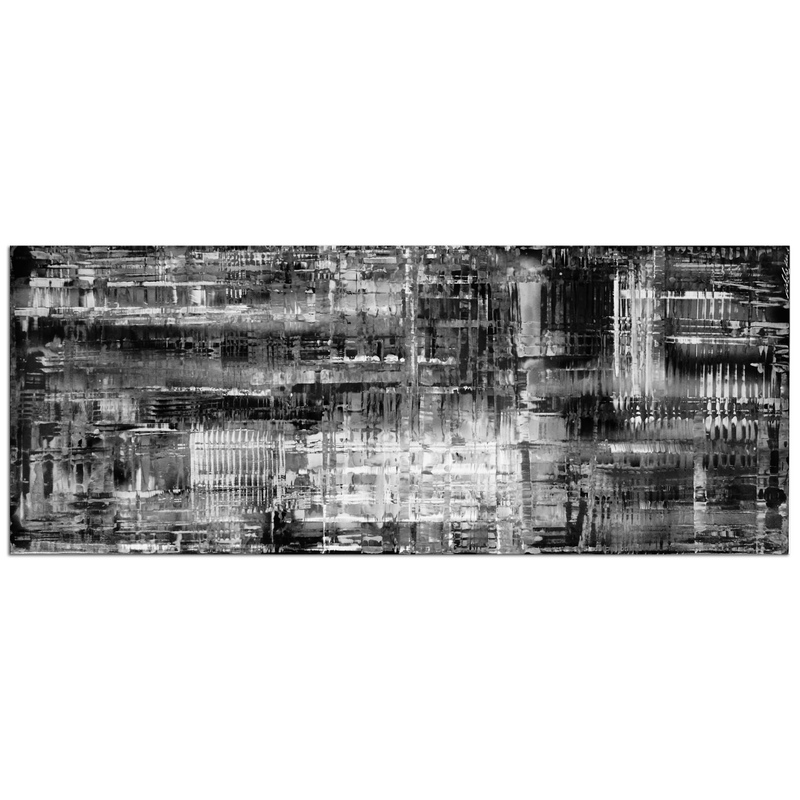 The layered lines and rough edges of fading blacks, whites and grays all come together to create an edgy, urban style giclee painting. The versatile monochrome color palette allows this piece to work perfectly with minimalist or ultra modern Decor, yet the exciting abstract design gives it a personality that steals the spotlight. Definitely the ultimate accent piece for any modern Decorator.